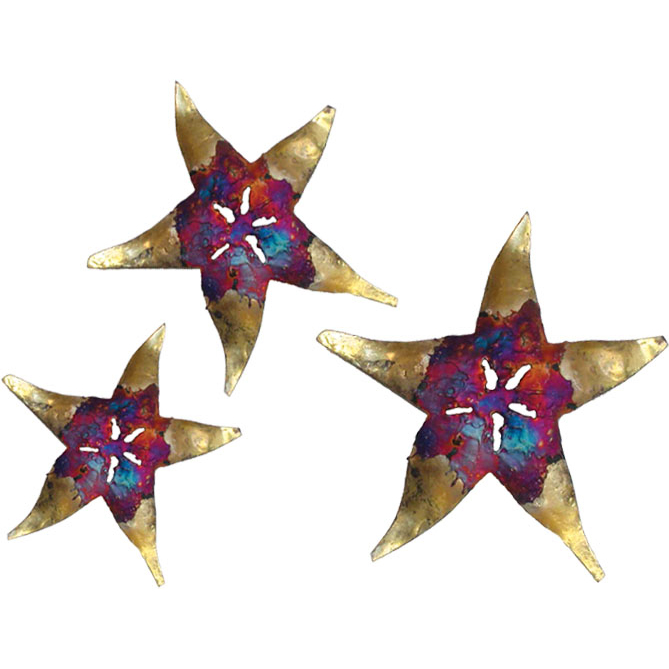 Add style to your walls with the Gold & Multicolor Starfish Metal Wall Art - Set of 3. This beach wall art is designed with stunning multicolor centers and golden tips to complement your seaside decor. For even more items, we ask you to take the occasion to review our full selection of beach wall art at Bella Coastal Decor today.